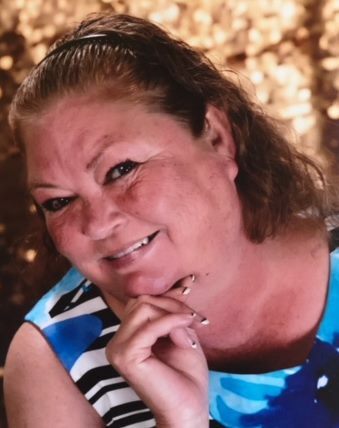 Karen Faye West Phelps, 53, of Jetson, Ky. passed away Sunday, September 16, 2018 at the Medical Center in Bowling Green, Ky. Karen was born in Warren Co., Ky. on September 10, 1965 to the late James Edward and Loveina Faye Cardwell West. She was a homemaker and a member of Temple View General Baptist Church. Karen loved cooking, sitting on her back porch, the beach, going on cruises, riding Harley's with her husband J.D. and taking care of her grandkids. She was preceded in death by her parents and son Josh Phelps. Karen is survived by her husband of 36 years, J.D. Phelps of Jetson, Ky.; daughter Charity Cox (Kurt) of Jetson, Ky.; step daughter Susan Appling of Russellville, Ky.; grandchildren Breanna Reynolds, Autumn Phelps, Brody Phelps, Peyton Cox, Weston Cox, Brandon Appling and Abby Appling; sisters Charlotte Proctor (Glenn) of Morgantown, Pam Martin (Jewel) of Morgantown, Darlene Shutes (Greg) of Ormond Beach, Fl., Tammy Trapp (Rick) of Rockfield, Ky.; brother Chris West of Morgantown; father and mother in law Everett and Dimple Phelps of Morgantown; brother in law Wayne Phelps (Cynthia) of Morgantown; several nieces, nephews and cousins. Funeral Service will be held at Smith Funeral Home on Thursday, September 20, 2018 at 1 pm with Bro. Frankie Skipworth officiating. Burial will follow in the Grant Phelps Cemetery. Visitation will be held on Wednesday, September 19, from 4pm -8pm and Thursday from 8am until time of service at Smith Funeral Home.